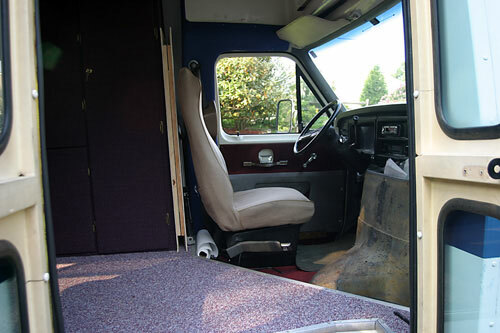 A view looking towards the front as I started upholstery. 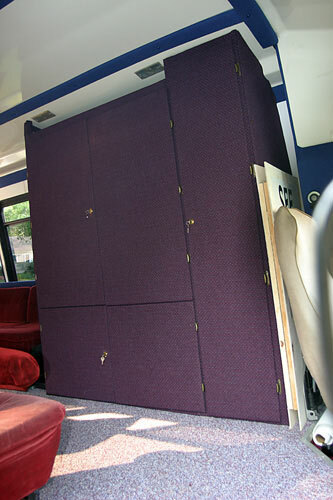 The knit fabric now covers the large storage cabinet behind the drivers seat. 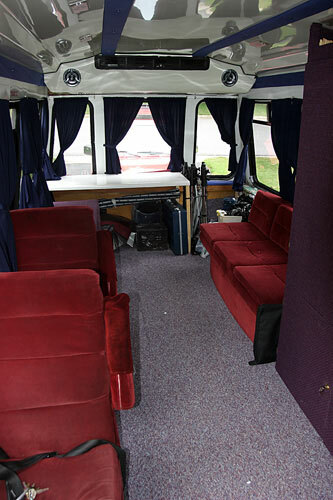 The red captains chairs and couch have been anchored to the floor and frame. 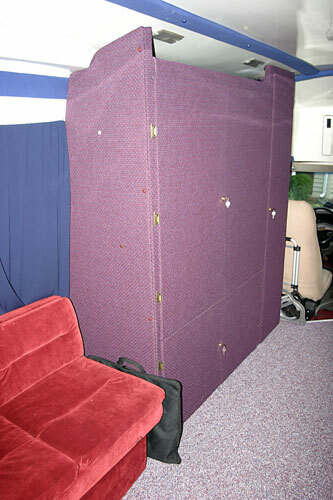 Here is a view of the large storage cabinet from the passenger door of the vehicle. A view from the front passenger door. 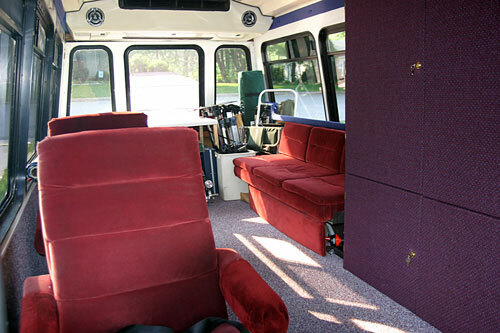 The interior upholstery is starting to look much better. The windows are still lacking curtains. Looking at the drivers area from the front passenger door. The lack of upholstery is evident on the engine cover doghouse. The curtains finally go up. They are made of a light material to minimize weight stresses on the curtain rods. It does the job of keeping prying eyes out. 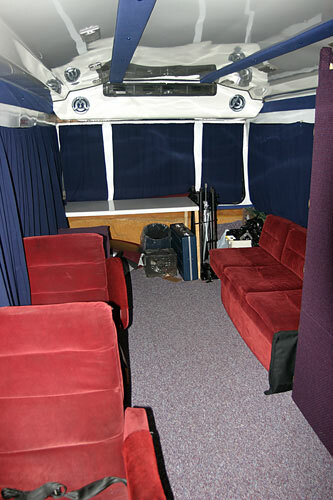 Another view, with better color of he curtains. 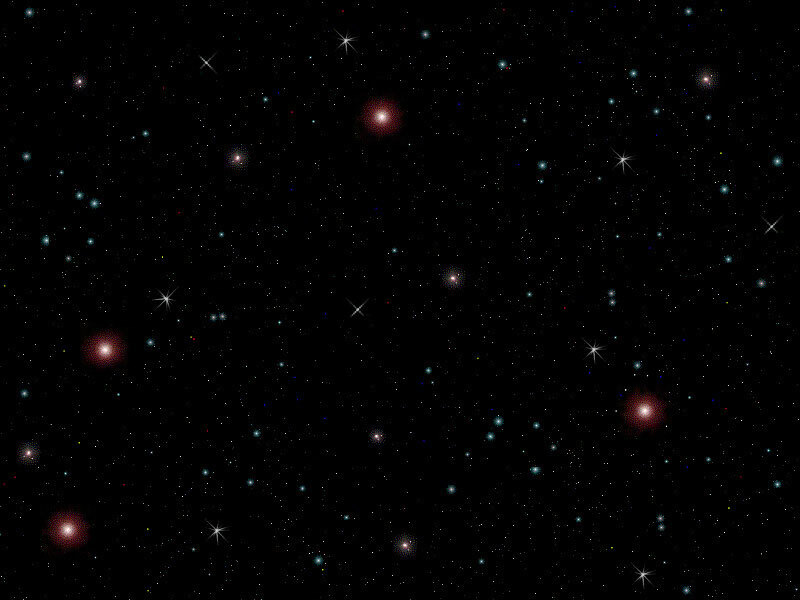 Boy, that roof panel sure is shiny. It might be because I waxed it. 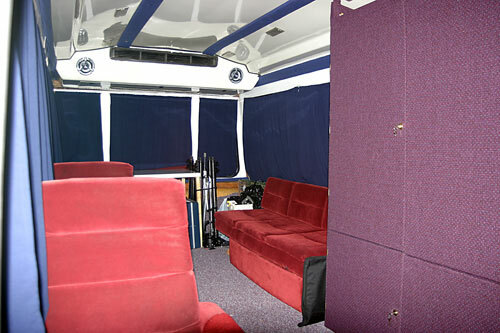 The couch area of the AMOV. Cozy, Huh? 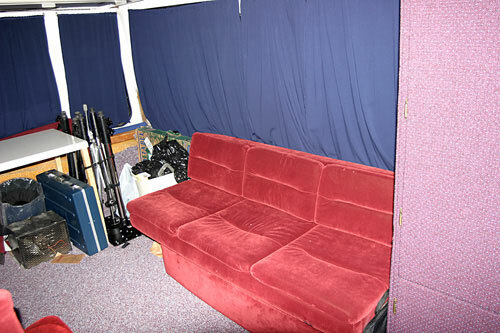 The storage area again. That is alot of material, folks. 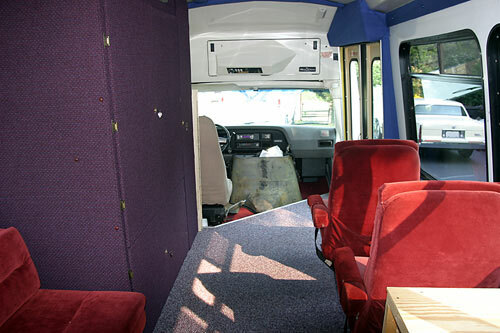 The front area is still lacking upholstery, but the sound system is in and working great. 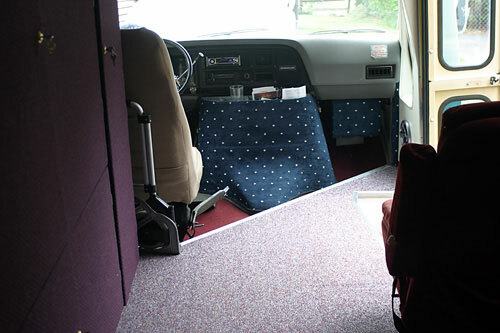 Even with the large cabinet, and the captains chairs, the AMOV is wide open to the person ntering the vehicle. I did not want it to feel confining at all. I think I did that. The engine cover finally gets some much needed attention. Looks so much better now. 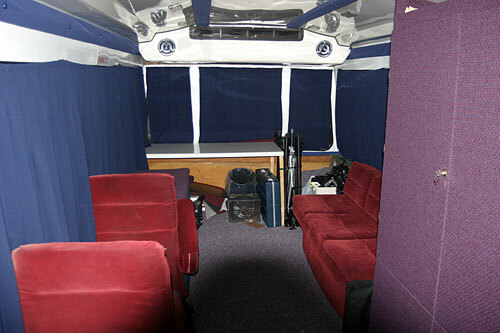 A look towards the back with the curtains tied back. This is the standard travel configuration for the AMOV. 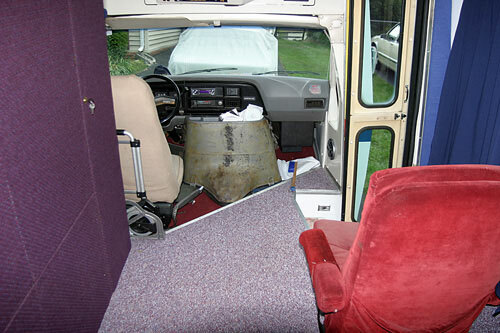 If you think it looks comfortable and inviting, it is.